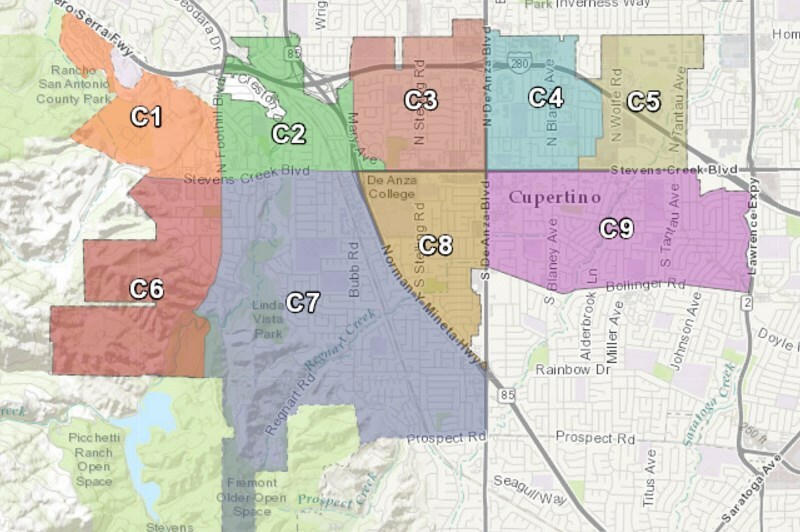 The City of Cupertino's Geographic Information Systems (GIS) Division serves the geographic information needs of all city departments and Cupertino residents. The division provides exceptional mapping expertise, data, and applications for the City of Cupertino. Our key goals are to maintain and provide high-quality spatial data to City departments and the public, offer essential mapping services to citizens, and to help eliminate redundancies and reduce costs through common spatial data layers. The City of Cupertino's GIS Division is part of the Innovation and Technology Department. To download our GIS data, please visit our Open Data Portal. In addition to the portal, we have provided links to our interactive web maps, our downloadable static maps, and a resources page providing more sources for data. Visualize current and upcoming transportation projects with the Bicycle and Pedestrian Transportation Plan Map. Use the map to gain more information about a prioritized list of projects that support and promote bicycling as found in the 2016 Bicycle Transportation Plan. The plan includes facilities like separated bikeways, bike boulevards, and The Loop, a bicycle route encircling Cupertino.